We are proud to introduce Yurga Kors to Doft Plastic Surgery. Over the past fifteen years, Yurga has worked hand in hand with plastic surgeons and dermatologists to offer clients a comprehensive skin care program. As a licensed aesthetician, Kors has an impeccable reputation and devoted international following for her medical facials. She takes a hands-on approach with each client, analyzing their skin issues and custom tailoring each treatment to suit their needs. Kors has extensive experience in all facets of administering a medical facial, but is well-known for dermaplaning, hyper-pigmentation correction, microcurrents, and choosing the best regimen for your skin. She is an expert at custom European facials, catering to sensitive, acneic, and aging skin. She has a strong interest in burgeoning technologies incorporating microneedling and microcurrents into her armamentarium. But my favorite aspect of Yurga’s facial is how she seamlessly combines her Eastern European precision with an unusually gentle, luxurious touch. Kors, originally from Lithuania, loves to travel and often brings back new skincare devices, techniques, and ingredients from around the world. She was also a paramedical aesthetician consultant at New York’s prestigious Christine Valmy Beauty School, teaching students how to perform treatments that use LED light, ultrasound, microcurrents, and high frequency radio waves. At Doft Plastic Surgery, all of the products used for facials are medical grade, ensuring a unique experience that balances medical technology with science. All of our treatments are designed to not only remove impurities, cleanse, and exfoliate, but also to nourish and brighten your complexion. Often the treatments are combined with chemical peels, dermaplaning, and cutting-edge therapies to create an innovative and unique experience. The Story of a thousand tiny needles…Microneeding. Microneedling works in a similar way to non-ablative laser treatments. But instead of a laser penetrating the skin, the microneedles lead to tiny insults in the dermis or micro-injuries causing minor inflammation. This prompts the skin to stimulate collagen production in response. An increase in collagen is the key to smoothing out fine lines, plumping the skin, and improving elasticity. Microneedling is also beneficial for evening out your skin tone and improving acne scars and melasma. When incorporated into a medical facial, microneedling causes small cracks in the skin’s natural barrier which can improve the delivery of antioxidants, peptides, and other nutrients. Although we all know that nothing non-invasive compares to surgical results, the microcurrent facial has been nicknamed by popular media as the “natural facelift.” Microcurrent technology has been around since the 1800’s as a treatment for injured muscles and tissues. When a physician treating a Bell’s Palsy patient noticed that the face of his patient appeared much smoother and younger after receiving microcurrent therapy, a new era in aesthetics treatments was born. During a microcurrent facial, extremely low-voltage electrical currents are applied to the facial muscles which mirror your own body’s electrical currents on a cellular level to repair damaged skin and stimulate collagen and elastin production. The intensity is so slight that it would take one million microcurrent machines to light a 40-watt light bulb. This treatment has been referred to as “facial toning,” likening the procedure to a facial muscle work out. According to studies, a microcurrent facial can increase collagen production up to 14%, elastin to 48% and blood circulation to 38%. The result is a reduction in puffiness, improved muscle tone and an increase in cellular activity leading to firmer skin. You are able to see a difference immediately. You will have firmer, glowing, tighter skin. But the initial results are fleeting and will vanish in a week or two. The results are cumulative. For sustained firming, we recommend a treatment course of 10-15 treatments within the first three months and then monthly. Dermaplaning is a gentle skin resurfacing procedure only performed by medical offices. During this unique procedure, the superficial epidermal layer of dead skin cells, fine hair, and surface impurities are gently removed using a specialized instrument. This leads to an increase in cell renewal and allows for improved penetration of products during facials and peels. Many patients love the fact that dermaplaning removes the vellus hair or “peach fuzz” which does not respond to laser treatments. 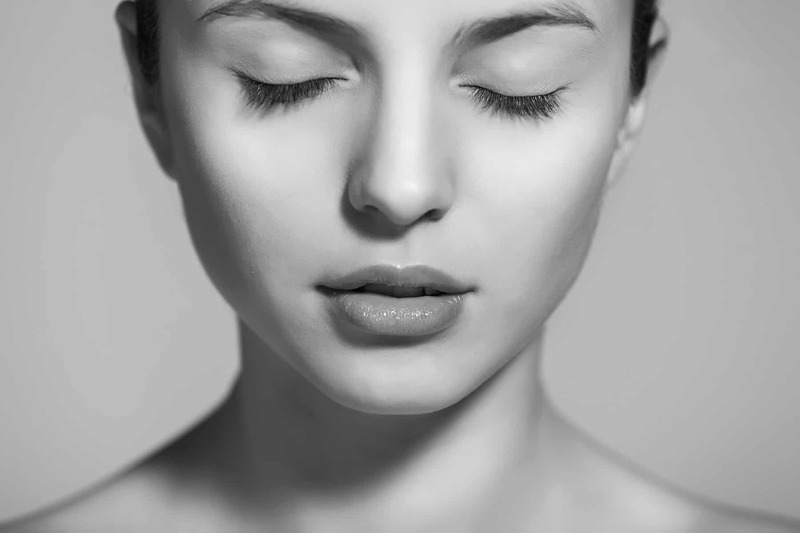 The Vi Facial is a synergistic combination of a chemical peel and a post-peel facial with dermaplaning. The first procedure is a Vi Peel. During the first visit, you will experience our special Vi Peel (link to site). The Vi peel combines many of the best peeling and anti-aging ingredients including Retinol A, Vitamin C, Phenol and TCA; but it does not contain hydroxy acids making it is suitable for all skin types. The peel helps to improve the tone, texture, and clarity of skin while reducing age spots, sun damage, and hyperpigmentation, softening lines and acne scars and stimulating collagen production to result in firmer, more youthful skin. A week later, you will receive our European medical facial, which involves an enzyme peel to boost the results of the Vi Peel, leaving you with an amazing glow. The facial will also include dermaplaning to gently and effectively eliminate any residual flaking from the peel, and vitamins and hydrating agents like Collagen, Elastin and Vitamin K. This program is tailored to your needs to give you the most beneficial results.